The explosive growth in data, computational power, and social media creates new opportunities for innovating governance and policy-making. These These information and communications technology (ICT) developments affect all parts of the policy-making cycle and result in drastic changes in the way policies are developed. To take advantage of these developments in the digital world, new approaches, concepts, instruments and methods are needed, which are able to deal with societal complexity and uncertainty. This field of research is sometimes depicted as e-government policy, e-policy, policy informatics or data science. Advancing our knowledge demands that different scientific communities collaborate to create practice-driven knowledge. 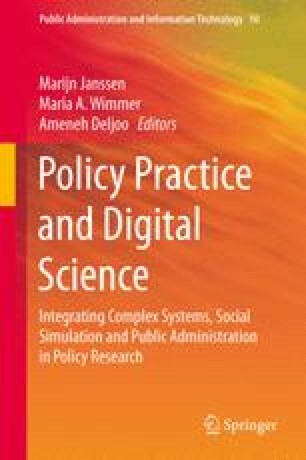 For policy-making in the digital age disciplines such as complex systems, social simulation and public administration need to be combined.